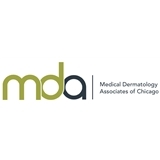 Medical Dermatology Associates of Chicago (Chicago) - Book Appointment Online! Very professional and great bedside manner. Very effective assistants as well. Dr. Aggarwal was prompt and efficient. Took the time to understand my concerns and was thorough in her evaluation. Booking an appointment was very easy and didn't have to wait for months like some other dermatologists.